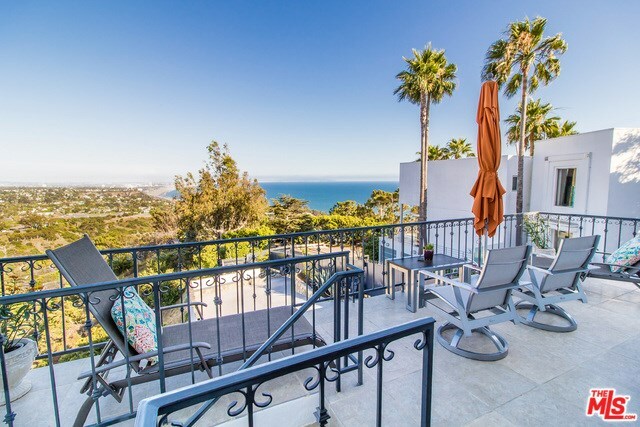 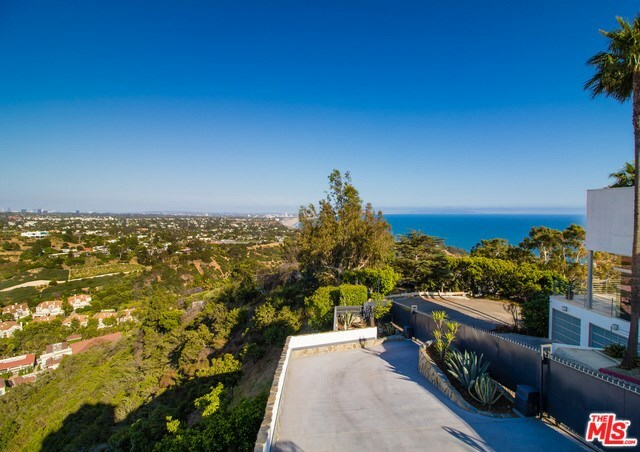 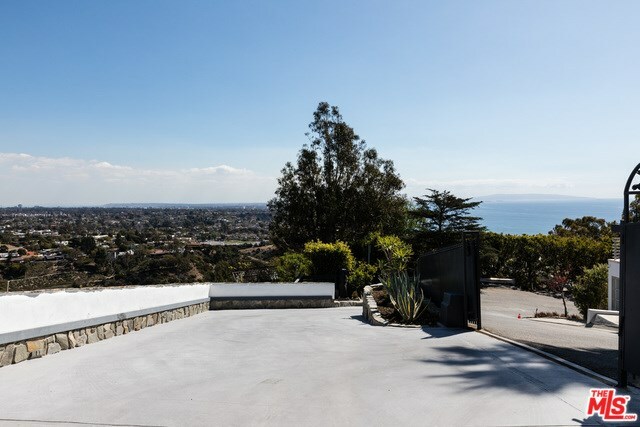 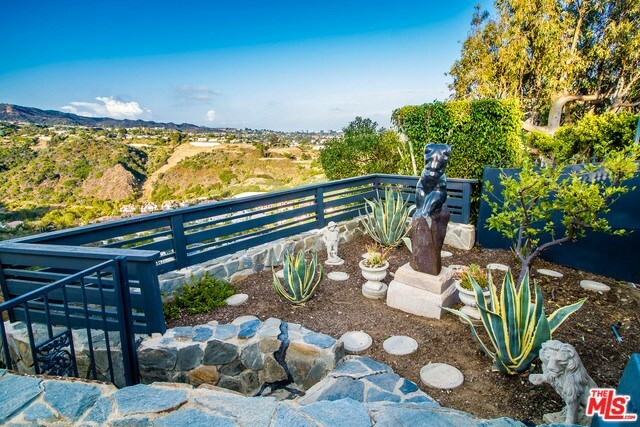 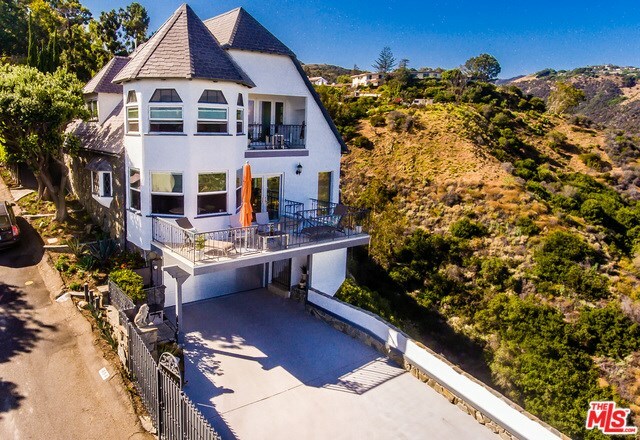 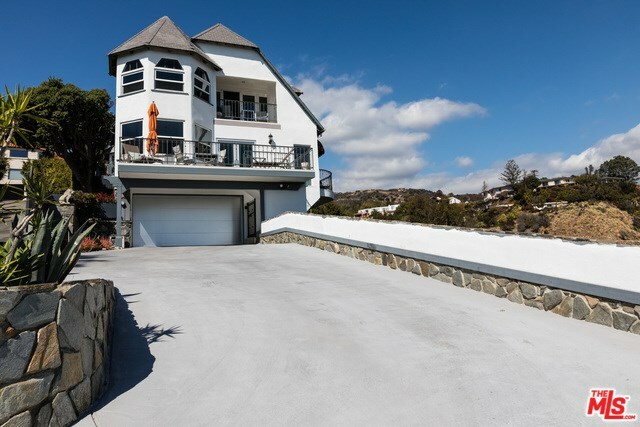 Spectacular panoramic views from throughout this gated upper Paseo Miramar home! 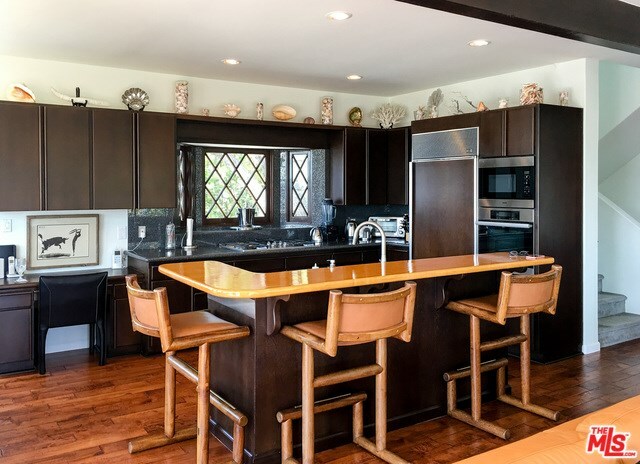 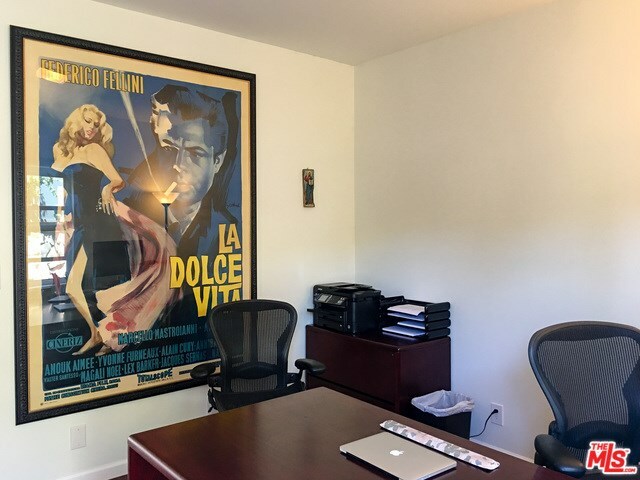 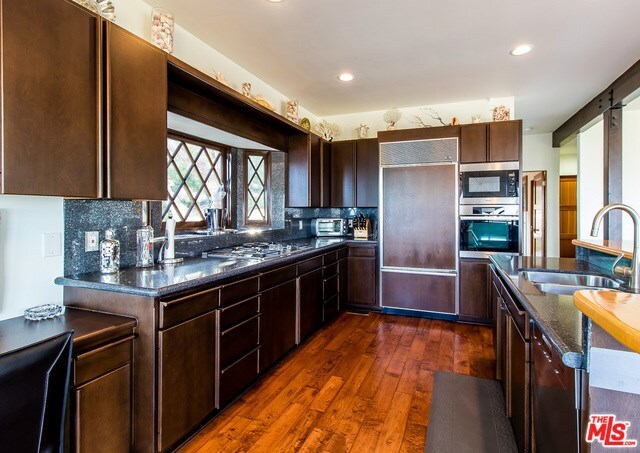 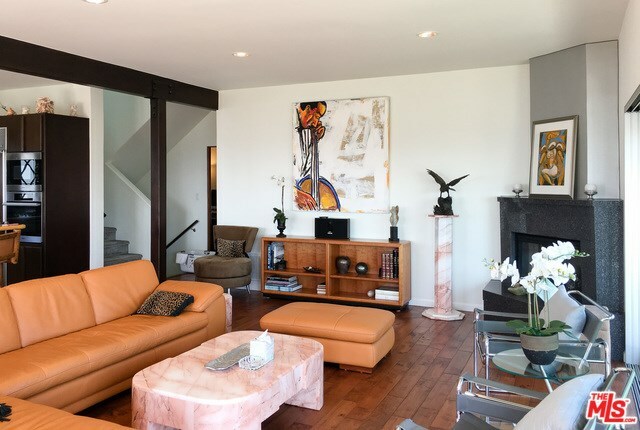 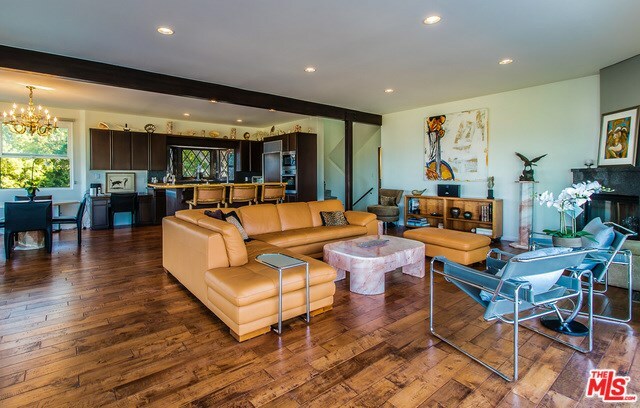 This tastefully remodeled home features apprx 20 ft Fleetwood sliding doors in the living room, large view decks, wood burning fireplace, hand distressed maple floors, updated recessed lighting, dual pane windows, tank-less water heater, new carpeting, and more. 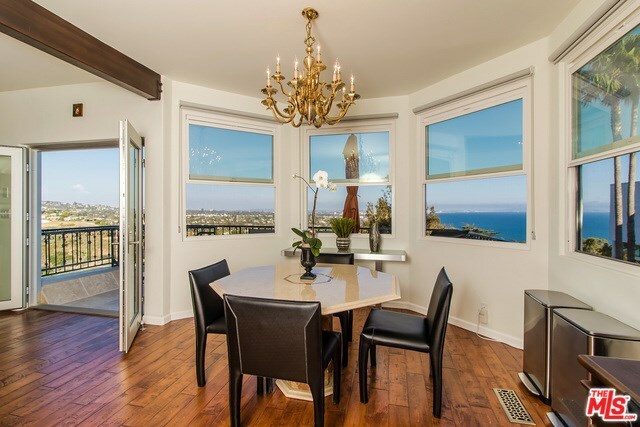 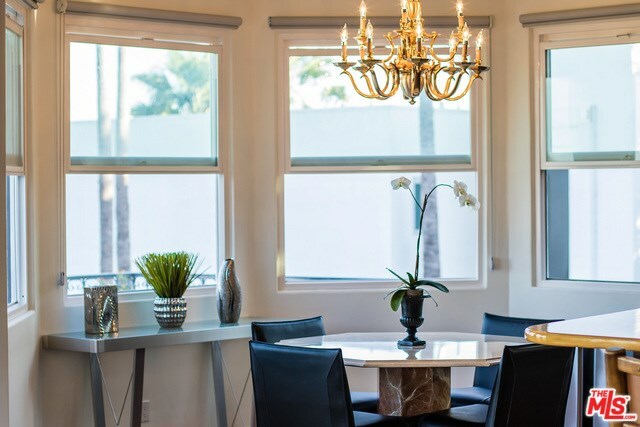 Enjoy outdoor dining on the large deck facing ocean, canyon, and city views. 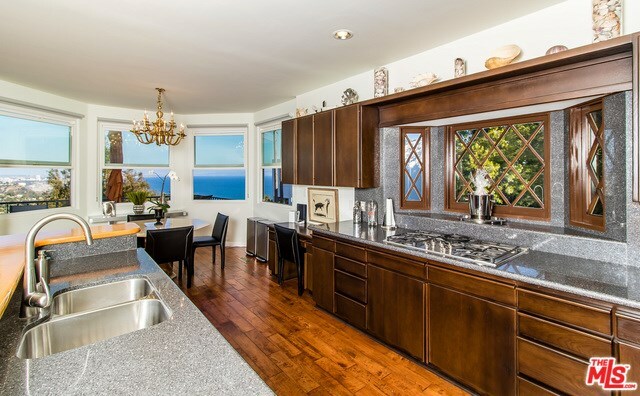 The gourmet kitchen features Miele appliances, SubZero fridge, and quartz countertops. 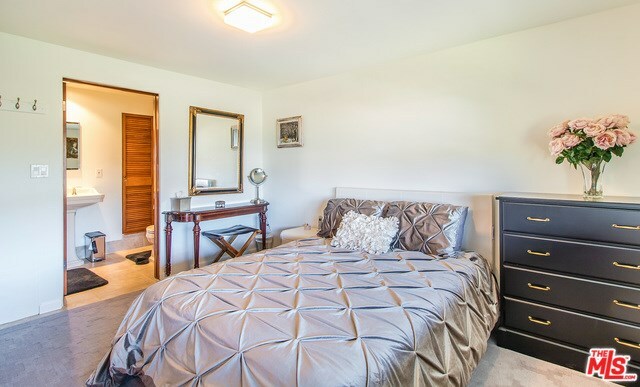 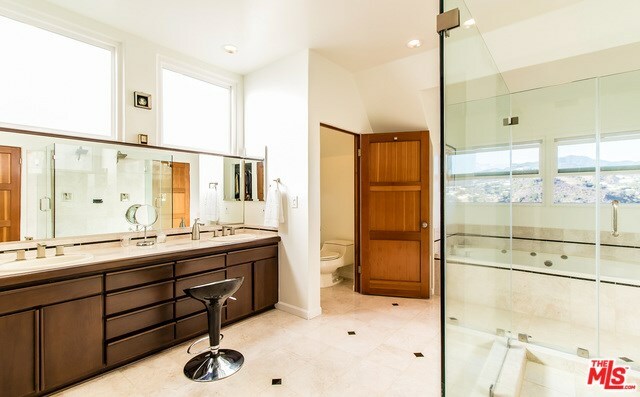 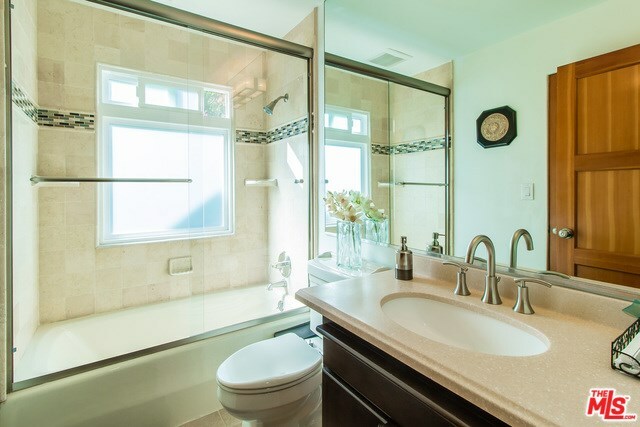 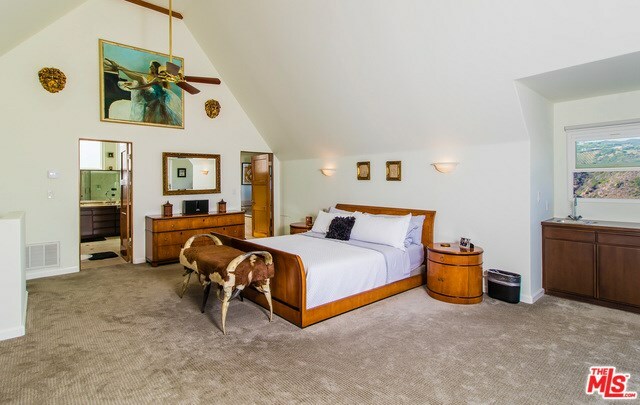 The upper level consists of a Master Suite which includes a walk-in closet, oversized master bath with large shower w/dual shower heads, marble floors, and a jetted bathtub. 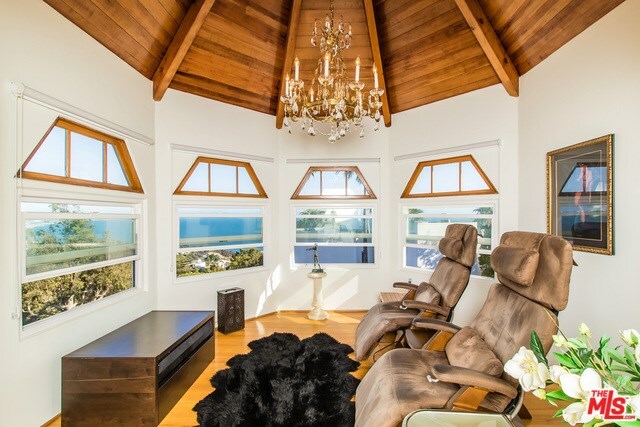 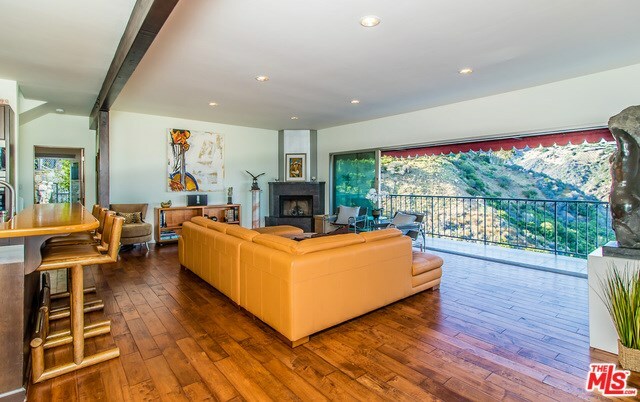 There is also has an adjacent sitting room w/ views and an additional outdoor deck. 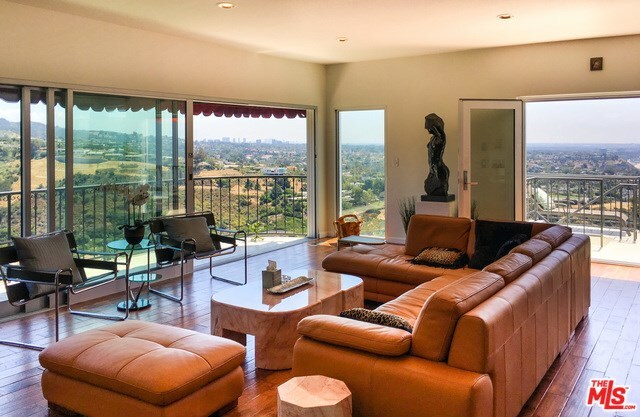 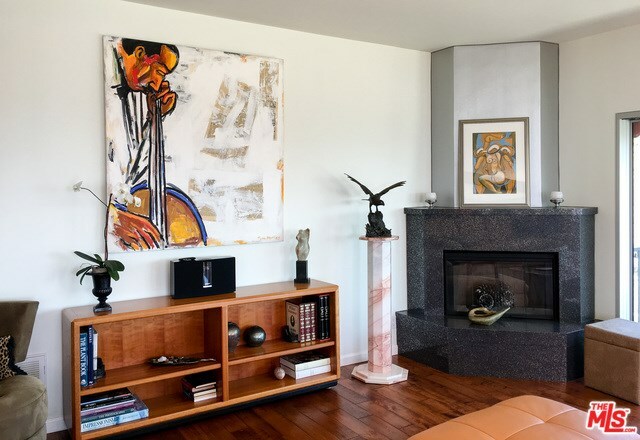 This property is surrounded by nature, has plenty of off-street parking and spectacular coastline, mountain, canyon, city and Queen's Necklace views! 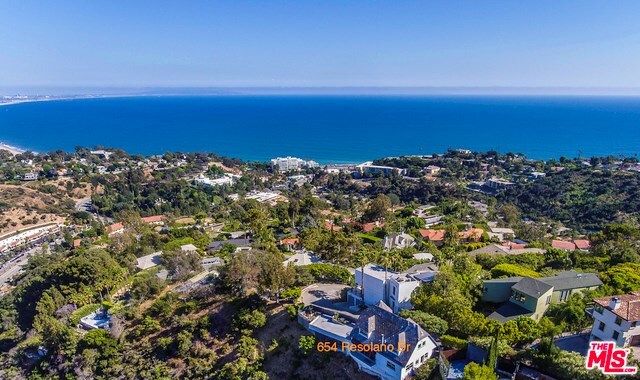 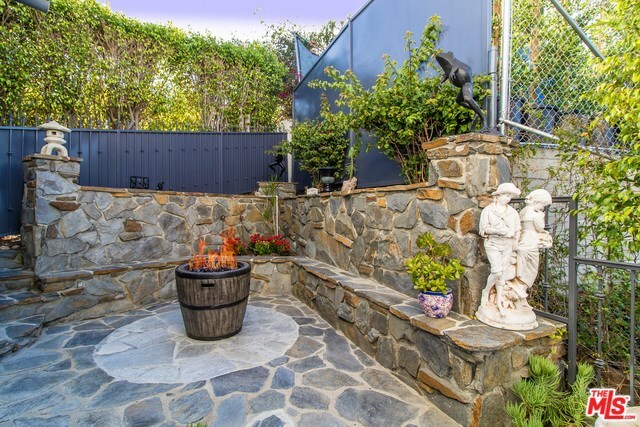 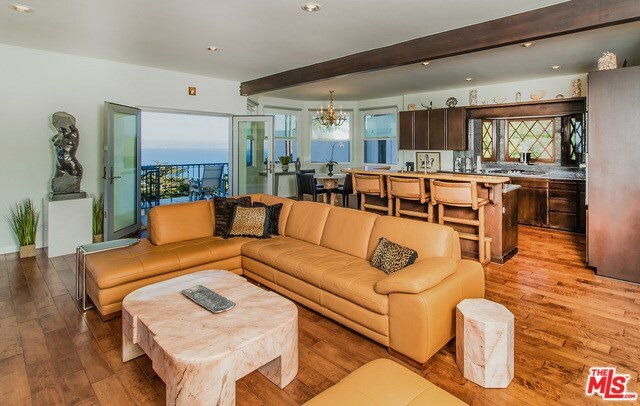 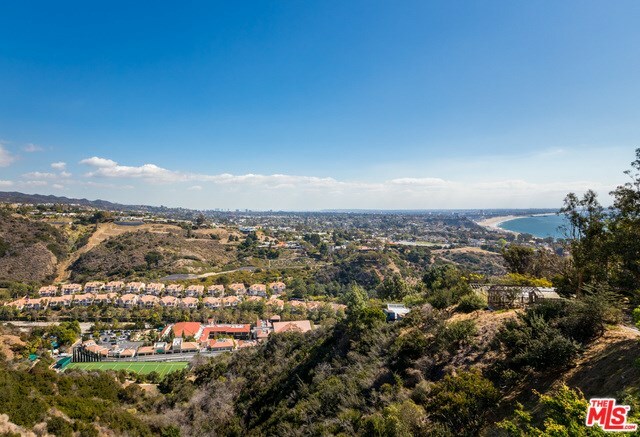 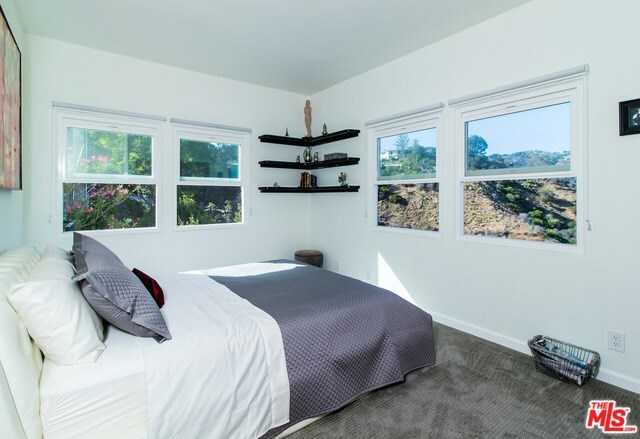 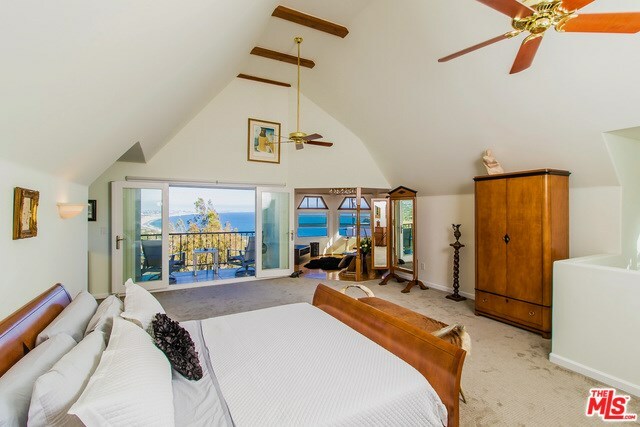 Quiet, private and minutes to beaches, trails, the Palisades village, SM, & Malibu.